These pencils are perfect for all your colouring needs. 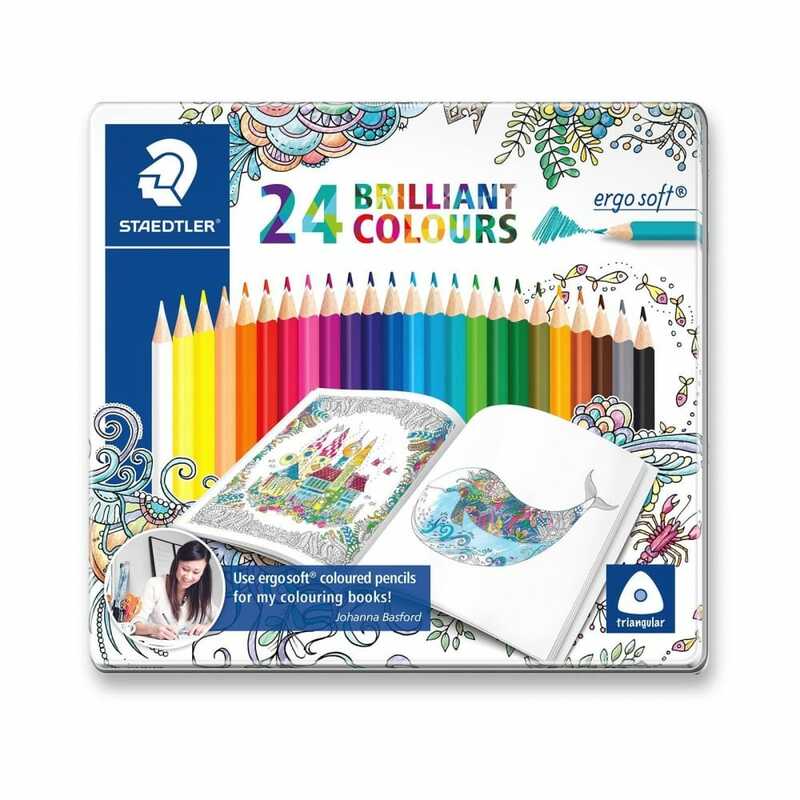 Ergo soft coloured pencils are slim pencils that are suitable for all age groups and are supplied in this attractive special edition Johanna Basford designed tin. The tin includes 24 vibrant assorted colours. They have a non-slip surface, which has a soft feel for the user. The pencils have apt ergonomics thanks to the triangular shape which is really comfortable to hold in the hand. The lead is soft and break-resistant and has a diameter of 3 mm. These pencils have the Staedtler ABS feature. Especially with children, coloured pencils have to be able to stand up to a lot of punishment: An Anti-Break-System (ABS for short) increases their service life. Because the richly coloured, high-quality lead core in a coloured pencils with ABS is surrounded by a white protective coating. It is so hard and resistant that the break-resistance of the coloured lead is increased by up to 50 per cent, making the pencil up to 30 per cent stronger.